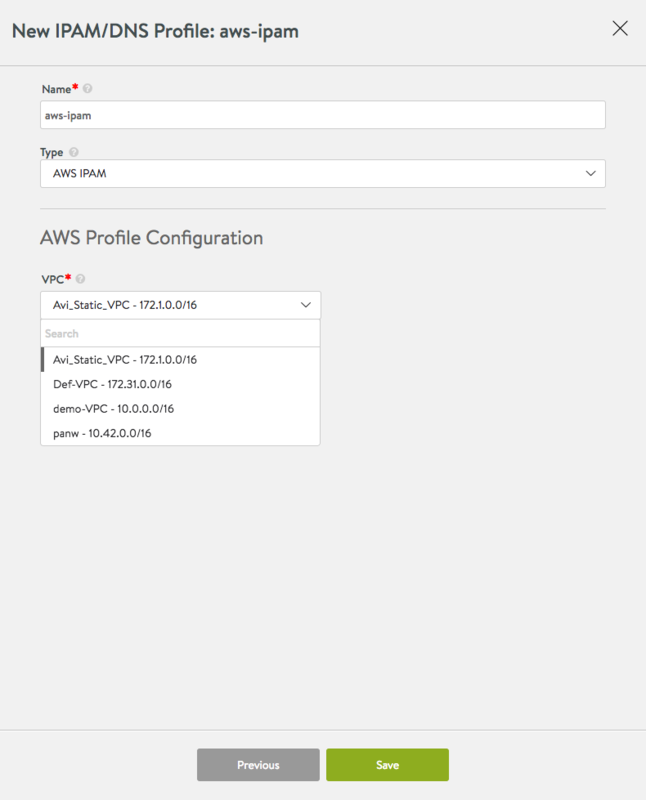 Avi Vantage integrates with Amazon Web Services (AWS) to provide IPAM services to applications running on instances in AWS. A separate IPAM configuration (as described below) is required only for cases where AWS provides the infrastructure service for other clouds (e.g., Mesos Cluster running on AWS instances). In such cases, wherein Avi Vantage is the IPAM provider, it cannot also be the DNS provider; use Route 53 instead. 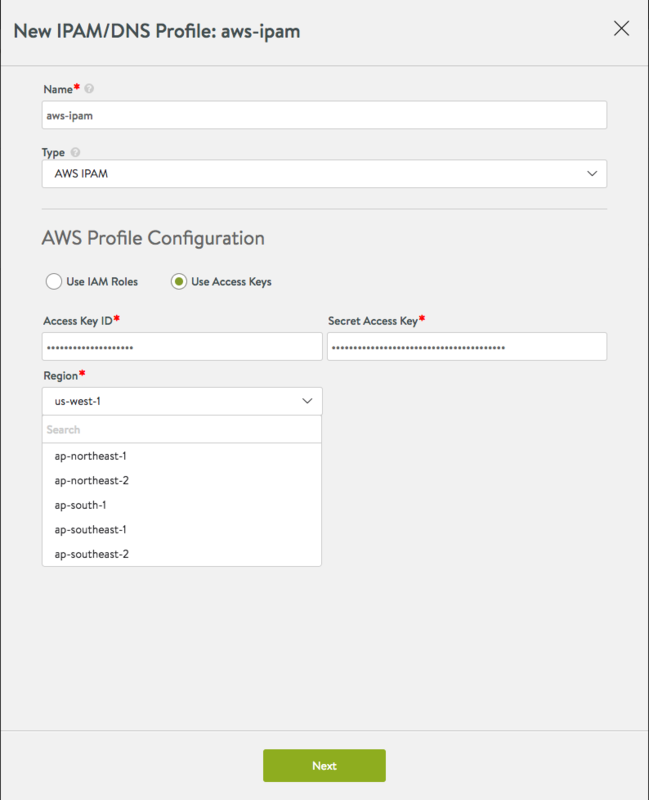 Note: If using the IAM role method to define access for an Avi Vantage installation in AWS, use the steps in this article to set up the IAM roles before beginning deployment of the Avi Controller EC2 instance. Select AWS and Use IAM Roles. 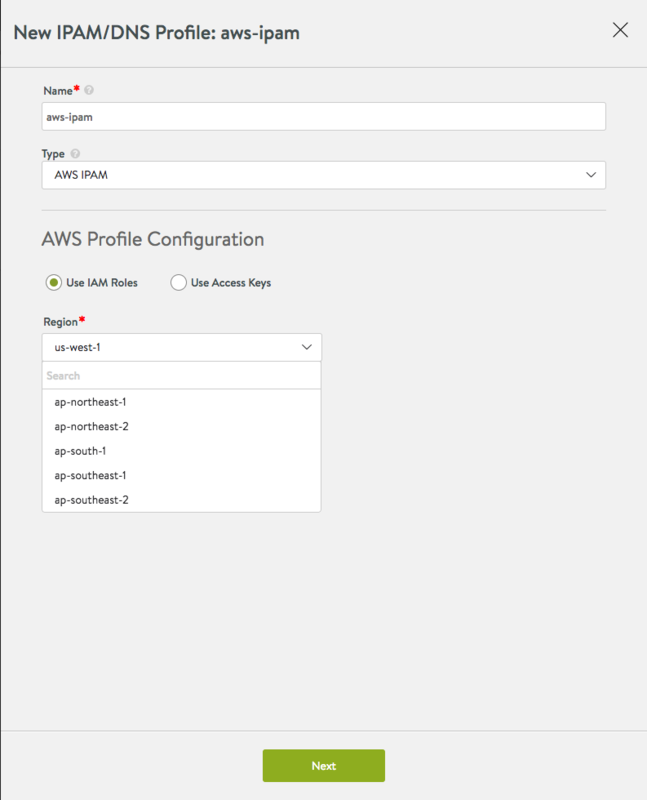 Then select the AWS region into which the VIPs will be deployed. Region: AWS region into which the VIPs will be deployed. Click Next (regardless of IAM or Access Keys method chosen), and a drop-down menu of available networks for IPAM is displayed. Select the appropriate network and click Save.